Stream your favourite HD TV straight to your phone or laptop. Slingbox PRO-HD lets you watch all your hi-def content anywhere in the world. Streaming specialists, Sling Media now pack a full HD punch with the launch oftheir first hi-definition streaming device, the Slingbox PRO-HD. The new Slingbox PRO-HD lets you watch allyour favourite television channels and any content stored on your HD PVR - including the over the air DVBT digital signals, HDTV cable or statellite channels - in full HDon any laptop, Android mobile or iPhone handset, anywhere in the worldyou have a WiFi or 3G connection. 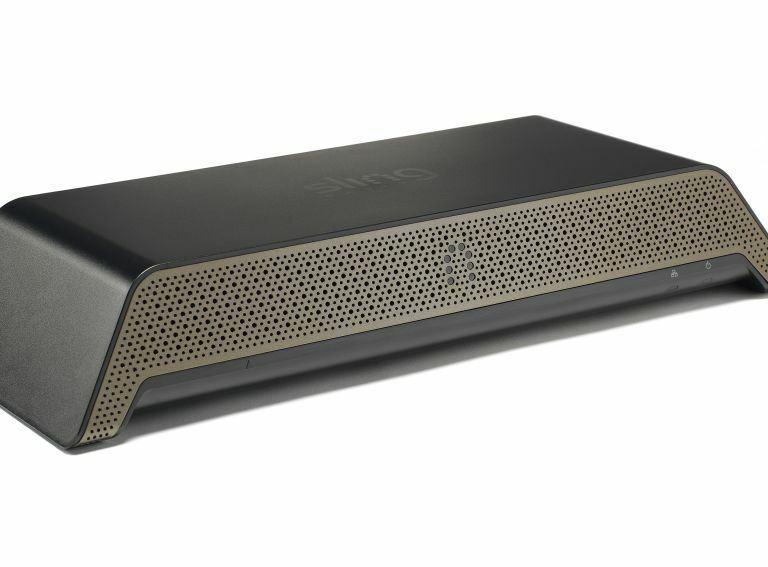 The Slingbox PRO-HD retains much of the familiar spec of the Slingbox PRO, like the ability to take control of your Sky + planner remotely, support for standard (4:3) and widescreen (16:9) video support. It also features multiple integrated sets of audio-video inputs and outputs (Digital Terrestrial TV Tuner, S-video, composite video, component video and either analogue or multi-channel, 5.1 surround digital audio) with integrated looping outputs for each input. The way you access content on your PC or laptop has also been upgraded. You can now watch your content via your web browser and the need todownload the slightly cumbersome client to your PC is gone. Access to the web service is done via Slingbox.com and means that you can now use any computer to view your stored or live TV content. The Slingbox PRO-HD costs £249.99 and will be available in store over thecoming weeks. If you want to watch television on your mobile,you'll also need to buy theSlingbox iPhone appat £17.99 or the SlingPlayer Android appfor £20.00. Sling Media also confirmed that their current iPhone app is being reworked to take Sling to your Apple tablet but no launch date has been set as yet.